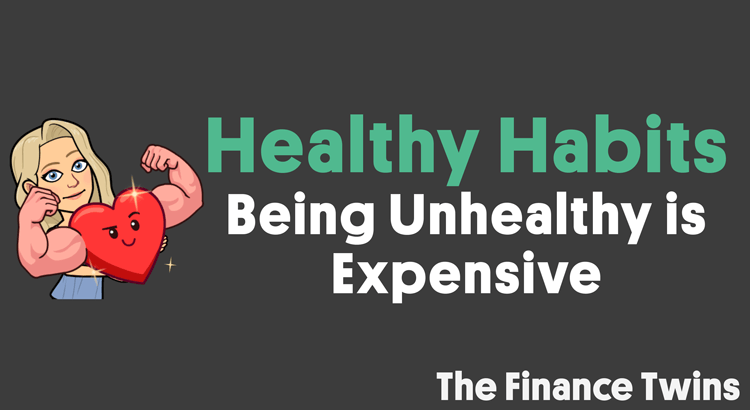 Building healthy habits can seem daunting, but being unhealthy is more costly than people realize. It’s no surprise that healthcare is the largest sector of the economy and the #1 employer in the U.S. But sadly, medical bills alone are enough to cripple any well-planned and executed retirement plan. 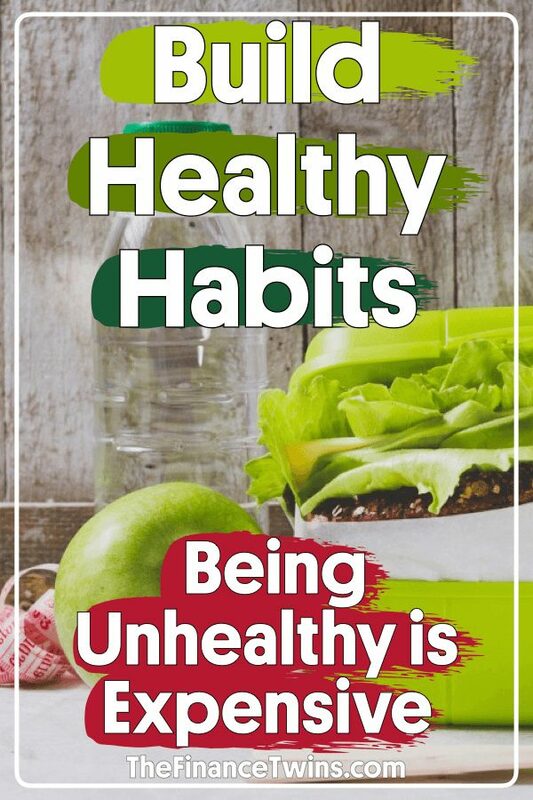 Building healthy habits just seems so hard for many people. But it doesn’t have to be. As a doctor, Francisco has heard every possible reason as to why people are unable to live a healthy lifestyle. A few reasons seem to come up a lot more than others: Eating healthy is too expensive; I can’t afford a gym membership; I have bad genes; Life is too short to not eat and do unhealthy things that bring joy. 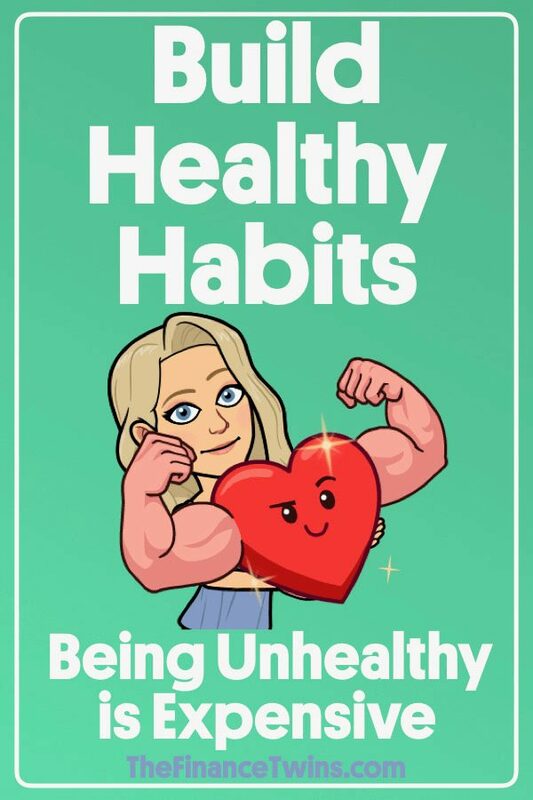 Today, we are going to break these reasons down and will give you the tools you need to take control of your health (and wealth!) and build healthy habits. Remember, it doesn’t matter if you have 10 million dollars in the bank account if you don’t have the health to enjoy it. We have all heard this one before. Many of us have probably even said this very recently. In fact, we used to think this too. How can preparing a healthy meal be cheaper than eating a couple of jr. Whoppers and a small fry from the dollar menu at Burger King? The key to eating healthy meals at home is planning. Look, eating healthier may cost you an extra dollar or two per meal, but this is nothing compared to healthcare costs from poor meal choices. Saving a few hundred bucks this year may cost you tens of thousands of dollars down the road. Picture this: you go to the grocery store and buy a cart full of healthy food. Throughout the week, you open the fridge when you get hungry and see a bunch of random vegetables staring at you. You convince yourself there’s nothing to eat so you order food or head over to your favorite restaurant. At the end of the month, you go through and throw away a bunch of food you never made. Sound familiar? We’ve been there so many times it’s painful. To get yourself out of this cycle, you need to plan meals ahead of time. Every Sunday we decide what we are going to eat each day of the upcoming week. We literally sit at a table and write down the meals we want and the ingredients we need. We also make sure we take into account changes to our regular schedule. If we know we are going out with friends for a birthday dinner on Wednesday, we make sure we don’t buy food for that meal. Then we go to the grocery store and buy the ingredients to make those items. We don’t prepare all of our weekly meals on Sunday like some people do, but that is a good strategy if you hate cooking at night and that’s the reason you end up ordering junk food. By planning ahead of time, we avoid the impulse decision to eat out when we are hungry and tired after a long day of work. By taking the decision out of the situation, you simply stick to the plan. This results in saving money and eating more healthy meals. It’s okay to spend a little bit more to prepare meals at home. By buying the ingredients and cooking at home, your meal will be healthier than buying the same exact thing at a restaurant. You can control how much oil and salt you use. When you eat a restaurant they choose for you, and guess what…they use A LOT. Restaurants are in the business of getting you to pay for food repeatedly, so they make sure it’s loaded with delicious fats and condiments to keep you coming back for more. Your taste buds might be happy, but your arteries pay the price. Think of eating at home as an investment. If someone guaranteed that an investment would go up 15%, most people would jump all over it. Good health will save you at least that much in medical bills over your lifetime. Try to make small changes at a time. Making big changes like cutting out all processed food or red meat is not sustainable. Start small. Try adding more fruits and veggies to your meals. See if you can add a vegetable (preferably a colorful one) to every meal for an entire day. And then a week. And then a month. It may seem ridiculous to systematically introduce healthy foods into your diet as an adult, but it’s a lot better than eating frozen pizzas everyday and slowly, but surely, clogging your arteries. Try eating out one less time per week than you currently do. If you do go out to eat, split a meal and box half right away. Over time you can make more and more changes. In all of my years in the hospital, I have yet to see someone hospitalized for eating too many vegetables. I can’t say the same for unhealthy foods. Our go-to breakfast is oatmeal with fruit. Or a yogurt and banana. Simple, quick, healthy and super cheap! You don’t need a fancy $100/month gym membership to be active and healthy. According to the American Heart Association, you should aim to get 150 minutes of moderate activity or 75 minutes of vigorous activity each week. Moderate intensity activities include brisk walks, gardening and casual bike rides. Vigorous exercise is essentially any exercise in which you break a sweat such as jogging, jumping rope, or hiking on hilly terrain. That’s right… a 30 minute walk 5 days per week can help prevent heart disease and strokes (like a heart attack, but of the brain). You don’t need a ton of gym equipment either. Most of us are carrying enough body weight around to do body-weight exercises that don’t require a million reps. Adding strength training with push-ups, body-weight squats, pull-ups and sit-ups is an awesome start. In fact, it’s more than an awesome start. Those exercises alone will have you in better shape than the majority of people. Each little thing you do throughout the day adds up. Cancel your cable TV subscription and spend more time outside! Instead of using a snowblower, shovel your sidewalk and driveway. For those of you fortunate enough to not know what a snowblower is, use a push mower instead of a riding lawnmower. Park your car at the back of the parking lot and walk an extra hundred yards each way at the grocery store and your place of work. Exercising on a regular basis is tough, especially if you’ve never done it. Some people are motivated by signing up for a class or membership. If you can afford it, that’s great, but many can’t. The best way to keep yourself motivated is to find an accountability partner. This can be an exercise partner! Meet with a friend or neighbor every morning for a walk before work and make it part of your routine. Once it becomes a habit you’ll have all the motivation you need. If you don’t have a friend who lives nearby, phone a friend. We use each other as accountability partners even though we live in different states. The simple text message nudging you to exercise can do wonders. You can’t change your genes, but you can change your behavior. It’s true that your genes may predispose you to certain diseases and medical conditions (type 2 diabetes, heart disease, obesity, cancer, addiction, etc. ), but that doesn’t mean you’re guaranteed to get them. Your genes are not a life sentence! By living a healthy lifestyle you can prevent many chronic diseases. In some cases, you can even reverse some diseases by changing your habits. And some healthy habits are actually more fun to do: like getting a lot of sleep. Don’t walk around with the mentality that because everyone in your family has heart disease you’re just going to have it, too. Imagine if you could be the catalyst your family needs to start making healthy decisions. That means more time with your loved ones. Just do your best, and make the most with what you have. We lost our dad to brain cancer when we were seven years old. He was only forty-six. So we know anything can happen to anyone at any time. But if we let our fear of dropping dead from brain cancer prevent us from working hard to build good health and wealth, we wouldn’t be here trying to help you. This is a line often used by those who can’t seem to shake a bad habit like smoking. It’s true, life is too short. Spoiler alert: we will all die one day. But that doesn’t mean we need to make it even shorter! In the hospital, Francisco has taken care of many patients who are dying from preventable chronic diseases. Nothing is more heartbreaking than a tough-looking man crying because he wished he could spend more time with his wife, kids and grandchildren. I guarantee you that man would do anything to go back in time and quit smoking, exercise regularly, and eat healthy if it meant having just one extra day with his family. But those sobering thoughts often come too late in life. This is another common misconception to living a healthy lifestyle. The goal isn’t to live forever. It’s all about quality of life, not quantity. By living a healthy lifestyle you will be able to be active and enjoy your years. Regardless of whether you live 35 years or 95 years, you should strive to live your best years. To live high quality years. To us, this means being able to travel, play with your grandkids, and be active. Who wants to spend their retirement years connected to a dialysis machine or bed-bound? There’s nothing like being able to hike up a mountain for an amazing view or walking around the historic cities in Europe. Instead of spending your last years on earth going from doctor’s office to doctor’s office, you can spend it hiking with your spouse and chasing your grandkids around the yard. When a colonoscopy can costs hundreds of dollars after insurance, it’s no wonder many people are afraid to have one. And that’s without considering the bowel prep and actual test! No one wants a camera somewhere it doesn’t belong and we are right there with you. But when you step back and look at the numbers, routine preventive tests are worth their weight in gold. By catching a cancer before it spreads, you can save yourself a big surgery along with possible chemotherapy and radiation. Many surgeries often include a day or two in the hospital, racking up thousands of dollars in hospital bills. After insurance, you could be left with a staggering bill (assuming you have insurance). By the way… you can also reduce your chances of having colon cancer by eating a diet high in fiber, which can be obtained from eating lots of fruits and vegetables! Avoiding the dentist out of fear might save you money in the short-run, but that root canal in 10 years will hurt you and your wallet a lot more. With poor health comes huge bills. Have you ever wondered why it seems like there is a pharmacy on every corner in big cities? Pharmacies are great businesses. With the increasing rates of chronic disease, the demand will only continue to increase. That’s great news for the pharmaceutical industry, but bad for your wallet. The bad news is that the pharmacy bill is just the beginning. Once you are diagnosed with a disease, you have signed yourself up for many doctors visits to monitor your disease. The biggest thing that poor health steals from you is time. You’ll have fewer days to spend doing the things you enjoy with the people you love. Less time with your children and grandchildren. Less time seeing the world. Fewer days watching your favorite sports teams. Less time enjoying the retirement you worked so hard to attain. Less time laughing and smiling. You’re spending your early years working hard to get your finances in order so that one day you can have the retirement of your dreams. You might as well spend your money on plane tickets instead of medical bills. We know that’s our plan. And if fate has other plans for us, at least we know we did everything we could to live our best lives. And for most people, that’s everything. The harsh reality is that living a healthy lifestyle is hard. If it were easy, everyone would do it. It’s also a lot easier to make tough choices when you have more resources and support. Regardless of your personal situation, just try to make a small change and use that momentum to make more changes. Life is stressful enough, and the last thing you need is a disease to compound the problem! I’ll second the notion of not needing to spend money on the gym. We recently quit our gym membership and I’ve been using my Apple Watch to make sure I hit 30 minutes of daily exercise every day. I’m on a 70-day streak. Usually, it’s just walking briskly, outside or on the treadmill at home. 2-3 times a week I’m training for a half-marathon. But it’s all free exercise. Thanks for the post. Lots of great information. wow, that is awesome! A win-win! Good luck with the upcoming half-marathon as well! Great post, without health money is worthless. And thanks for emphasizing that folks don’t need a gym membership to workout. Mother nature and your own bodyweight provide everything you need to workout! Excellent advice! A $10 jump rope is also a great option for cardio.